For decades, the story of Emo's Grave has been passed down from generation to generation. Who is this "Emo", and what is the story behind his grave? Urban Legend tells us that if you light a candle and walk backwards around the grave three times, when you peer into the crypt you will see the face of Emo the Ghost. Every person you talk to in Salt Lake City "knows somebody who knows somebody" who has tried this ritual, and it has seen Emo. I have yet to talk to somebody directly who has seen Emo, or even see him myself. 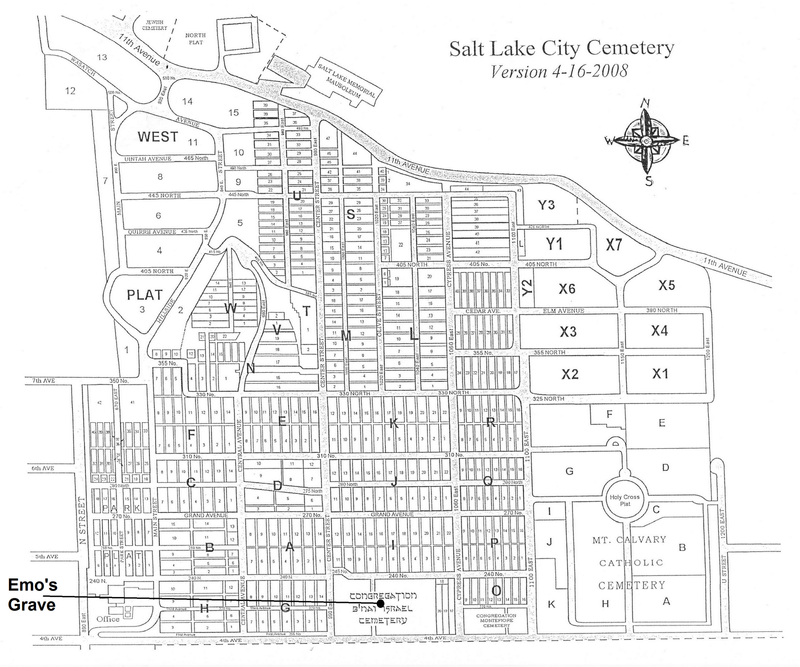 When I go to the Salt Lake Cemetery, it is always a peaceful, calming place full of chirping birds and shady trees. Emo's Grave is actually a crypt at the Salt Lake City Cemetery built to house the remains of Jacob Moritz, an early Utah politican and founder of the Salt Lake Brewery. (NOTE: Picture of Mr Jacob Moritz coming soon, as soon as I can clear the copywright! STAY TUNED!) Moritz was a German that came to Utah in 1871. In 1887 he became an active member of the Chamber of Commerce. He founded the Salt Lake Brewing Company, and in 1891 it was known as one of the largest breweries outside of Wisconsin. They were producing over 100,000 barrels of beer per year. That was an enormous amount; today the Uinta Brewing Company and Utah Brewers Cooperative combined produce about 30,000 barrels of beer annually. Moritz also owned 36 saloon in Utah. Because of the laws leading up to prohibition, in 1906 his production dropped to 50,000 barrels annually. In 1910 Moritz became ill and returned to Germany, where he eventually died. Because of his strong ties to Utah and its history, his ashes were shipped back to Utah and placed in an urn inside the crypt bearing his name in the Salt Lake City Cemetery. There is no documented date as to when the legend of Emo's Grave began, or where the name "Emo" came from. Many researchers believe that because it's a tall, mysterious monument with a door that you can actually peer inside, it was only a matter of time before stories and legends began to pop up surrounding this mysterious crypt. Because of the many visitors and vandals to his grave, Moritz's his ashes were removed and placed in a safe, undisclosed location. Rumor has it that they may have even been shipped back to Germany where he came from. You can see in the picture here that the ceramic pot inside the crpyt has also been broken by vandals. Emo's Grave: fact or fiction? 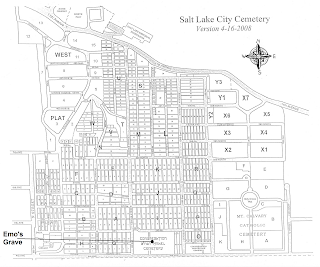 Visit the Salt Lake Cemetery and decide for yourself! Please remember that the gates do close at dark, so please respect the hours as well as the other graves in the surrounding area. Why then, Is it Emo? What does that name have to do with the name Emo? I have heard that he was actually utahs first satanic worshipper. Steven, did you read the history? 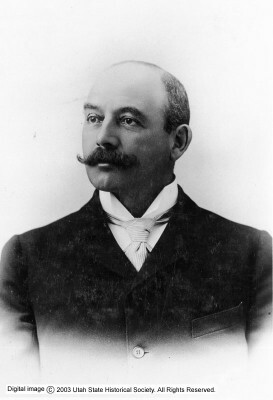 Jacob Moritz was a great Utah citizen and businessman. He was Jewish. He gave to the community. He helped write the Utah constitution. The myths about him being evil are false, created by teenagers wanting to scare each other. There are a lot of theories about the name Emo but no way to prove which one gave his grave the nickname. Many stories have come, and gone. I think you are quite correct. "Emo" was created. The stories of ghosts, and haunting, need a lead character and Emo became that character. Why was the Moritz crypt selected? I can only speculate. Crypts are not all that common in this part of the country. There are even fewer that one can see inside. That setting lent itself well to the telling of a ghost story. I can share nothing regarding when, and by whom, the Emo story began. We, collectively, owe Mr. Moritz, and his family, apologies for desecrating his tomb. That's a seriously low life thing to do.